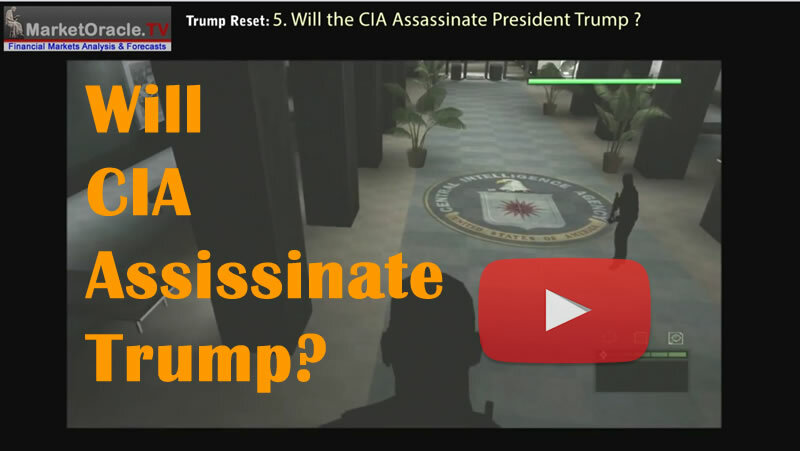 Will the CIA Assassinate Rogue President Donald Trump Like JFK? For instance it is is not in the elite military industrial, intelligence and corporate complexes' interests for the US to be friendly towards Russia, despite the fact that Russia literally poses a near zero economic or military threat to US global power. However, the operating system of US Military and Economic Global Power is such that it does not matter if a nation is a friend or foe, all are fair game, where the king of cyber war fare the United States can literally shut any nation down within hours, given that the so called free internet is a US military delivery system for malware infection for total access and control. So to imagine that the US full spectrum global empire assembled over the past 115 years will allow a Rouge President to disrupt it's activities is delusional. The CIA lies near the top of the ruling elite pyramid where even it's former directors have gone on to become President's of the United States so as to ensure nothing ever really changes so that the ruling elite keep ruling in perpetuity as they continue to concentrate wealth and power into their own hands whilst leaving the brainwashed masses to wave patriotic flags and go through the motions of voting in an illusion of democracy and freedom, all guided by the mainstream establishment media, the fake news empire!